The ACT requires speed and focus. The ACT is more straightforward than the SAT and presents content in a format familiar fashion for most students. The quantity of questions and tight time frame makes time management the key to success. Tutor Selection – Educational Connections’s test prep tutoring specialist hand-selects a tutor who will best suit the student’s academic needs and personality. Assessment – Educational Connections and your tutor determine the student’s strengths, weaknesses, and areas for greatest improvement using a computerized analysis of the diagnostic test results. Program Creation – A custom-designed program with goals is created to enable the tutor to target the areas in greatest need of improvement. Session Structure – Instruction and homework target three key areas: content review, test taking strategies, and simulated test practice. Streamlined Feedback – Parents receive progress reports after each tutoring session, and have access to our online portal, which provides practice test scores and feedback, homework assignments, and scheduling information. Through highly individualized, in-home tutoring using research-based strategies for building test taking skills, Educational Connections offers a superior test prep experience. The caliber of our tutors and the proven approach they use help students prepare not just better but faster. Instead of a generic, one-size-fits-all program, Educational Connections’ tutors quickly assess strengths and weaknesses. Since no time is wasted on what students already know, each session targets areas where improvements will have the greatest impact on test scores. Plus, our tutors know how to use test prep strategies that play to the strengths of each student’s learning style for higher engagement in the process and better results. Let us take the guesswork out of ACT prep. Contact us to learn how we can help your student. Mock tests help students gain confidence and endurance. Prepare your student for the national exams by taking one of our free mock tests. 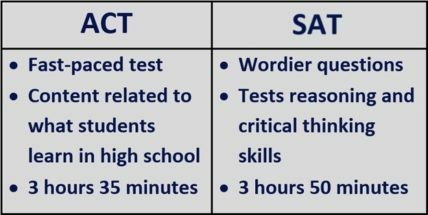 Interested in whether SAT or ACT tutoring can benefit your child?